The Dutch began to colonize Indonesia in the early 17th century; Japan occupied the islands from 1942 to 1945. Indonesia declared its independence after Japan’s surrender, but it required four years of intermittent negotiations, recurring hostilities, and UN mediation before the Netherlands agreed to transfer sovereignty in 1949. Free and fair legislative elections took place in 1999 after decades of repressive rule. 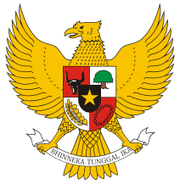 Indonesia is now the world’s third most populous democracy, the world’s largest archipelagic state, and home to the world’s largest Muslim population. Current issues include: alleviating poverty, improving education, preventing terrorism, consolidating democracy after four decades of authoritarianism, implementing economic and financial reforms, stemming corruption, holding the military and police accountable for human rights violations, addressing climate change, and controlling infectious diseases, particularly those of global and regional importance. In 2005, Indonesia reached a historic peace agreement with armed separatists in Aceh, which led to democratic elections in Aceh in December 2006. Indonesia continues to face low intensity armed resistance by the separatist Free Papua Movement.